Two iconic Las Vegas hotel brands – MGM and Bellagio – are set to develop properties in Dubai. US-based MGM Resorts International will bring the world-famous brands to the city, which will mark their Middle East debut. It follows a deal signed with Dubai-based Wasl Hospitality, part of Wasl Asset Management Group, with the first non-gaming beachfront resort expected to open in Dubai by 2021. 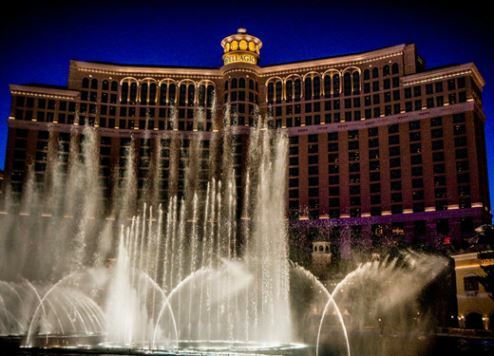 MGM will provide an advisory role during the construction phase and then go on to manage the mega resort development, which will feature an MGM Hotel, MGM Residences and a Bellagio Hotel, covering an area of some 26 acres. “This marks the first time we will offer multiple MGM luxury brands at a prime beachfront location,” said MGM Resorts president Bill Hornbuckle. The project will feature 1,000 rooms and 10 villas and will occupy the longest stretch of waterfront ever developed in Dubai. It will be located near the Burj Al Arab, initial US media reports revealed. Construction on the project will take nine months to mobilisation and about three years to build, with a probable opening date set for 2021. The resort will also include a diving club called The Cavern, Hornbuckle revealed. The diving pool will be 7,000 to 8,000 metres deep and include a snorkelling area. According to MGM, the project was presented to His Highness, Sheikh Mohammed bin Rashid Al Maktoum, Vice President and Prime Minister of the UAE and Ruler of Dubai, by officials from both MGM Resorts and Wasl Asset Management Group. In keeping with its Vegas theme, the property will feature a similar water show, a theatre, a mix of culinary venues, specialty retail outlets, traditional and interactive museums, a beach club and adventure zones for both adults and children. MGM Resorts also owns resorts in Macau and China.